Firstly, in an effort to encourage everyone to access the secure section of the website, I will soon be posting the weekly update on that noticeboard, so please email Mark Snook (cc’d) if you wish to join it. There will be no more information via email unless you sign up. Following the disappointment of the regatta being cancelled the previous week, the athletes at the Junior Inter-regional Championships more than made up for it. Having already had eight crews from CLS represent the region, we then dominated as a club with half of our clubs making the A finals. On the Sunday Eve Larsen and Joseph Adamson both raced at the April trial in Nottingham in singles both finishing as required to gain invites to the Crew Selection Regatta in July. As they progress to the final stages of the trial process the more likely they will represent GB and they have reached the final stage. Eve Larsen finished an impressive tenth in the time trial all but guaranteeing her a place at crew selection, then in the semi and final she finished 4th and 3rd awarding her a ninth place ranking. Joseph came fourth in his semi final then won his B final awarding him a seventh place ranking. In testing conditions, both sculler got the job done to finish strongly. 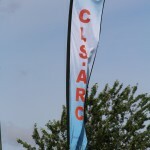 The Junior Inter-regional championships took place in Nottingham at the National Water Sports Centre on the Saturday with CLS winning a record three of the four medals that the region achieved. The wj164x- finished strongly in the B final coming second, Joe Telford in his first sprint race in the J14 boys single came 5th in the B final beating some strong southern opposition. The men’s j15 four came second in their B final and the women’s j15 four also came second in their B final winning seven points each for the regional team. The girls j16 double came second in their semi final but came fifth in the A final to gain eight points for team North. Then Caitlin Warren in the wj15 single won an impressive silver medal after also coming second in her semi final. Roman Bowery was in the boat that won by the biggest margin over the entire championships getting gold in his mj151x and looking unfazed by the boy from Henley RC trying in vain to catch him. Then, the grandstand finish; the men’s j16 4 coxed by Amy Snook won their semi final rowing through the field of six boats, they then did the same in the final hunting down the crew from Kings Canterbury and Henley in the last 200 metres to win a very impressive silver. Huge thanks must go to Brian Webb for towing the trailer as well as Adrian Farley for bringing the bikes for the coaches and to Simon Adamson for putting our new marque to good use. Back down to earth this week after a whole weekend racing…training on as usual and good luck to Holly Young and Chris Telford in their coaching assessments over the next few weeks. Planning and testing for the British Junior Championships begins this week alongside regattas etc.